Availability: Monday to Friday, 8:30am-5:30pm. Rob is a Consultant Psychiatrist with over 20 years’ experience and is also a highly skilled ACT therapist. He is passionate about helping his clients achieve long-lasting benefits in their lives. Psychiatrists complete a medical degree and then specialist medical training in psychiatry. 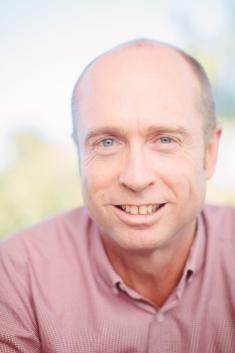 Rob hopes his work with you will maximise your potential for a rich, full and meaningful life. Science, compassion, mindfulness, acceptance, values, and community inspire Rob’s life and work. With cautious, scientifically solid individualised care, Rob provides expert medication assessment and advice. He knows that medications certainly help some clients in some situations, however most psychiatric drugs have limited effectiveness over the medium and long term, and many have potentially serious adverse effects. Rob has a wealth of experience, helping people in diverse settings from home to High Secure. After completing psychiatric training Rob trained extensively in the theory and practice of ACT and specialised in its application in psychotherapy and pharmacotherapy. He is a Clinical Senior Lecture in Psychiatry at the University of Queensland and trains psychologists, doctors and others in ACT as well as providing ACT based psychotherapy and pharmacotherapy to his clients. New treatment innovations usually take decades to make it into practice. Rob closely follows developments in psychology, psychiatry, and psychopharmacology, and brings this knowledge to his work well before many other psychiatrists. His expertise is using the newest evidence-based treatments for all psychological problems and in the optimal role of pharmacotherapy based on a sound, critical approach to science. Rob’s work is rigorously informed by independent science and is carefully based on what has been shown to work in research studies. It is natural to expect to feel a little anxious in meeting with a stranger to talk for the first time about personal issues, perhaps particularly with a psychiatrist! Rob will be sensitive to your emotional state and structure your initial session to ensure that you are able to get your issues across, to enable him a thorough understanding of YOU as a person, and also of course a detailed knowledge of your problems. He will provide a comprehensive assessment of your difficulties, outline a structured plan of action, and email resources to you. For more about Rob’s practice and background please see his personal website mindfulpsychiatry.com.au. Would you like to Book An Appointment with Rob?